1848 was a turbulent but momentous time in Europe. 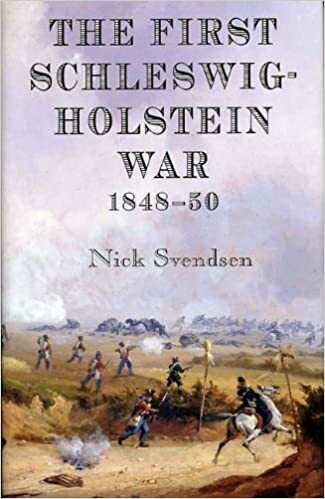 Within this context, the Duchies of Schleswig and Holstein were caught between the rising nationalism and desire for unification of the Prussian/German nation states and the traditional alliances with the Danish Kingdom. The Schleswig Holsteiners decided that allegiance with the German Federation, including possessing their own constitution, was the best way forward. They rebelled against the Danish and looked to the Prussians with their greater military prowess for help. In Denmark, as in other European countries, the call for a democratic constitution caused social disturbance, triggered initially by the February riots in Paris. The Danish monarchy, in crisis, both constitutionally and in terms of monarchical succession continued to lay claim on their southernmost duchies and sent their armed forces to destroy the Schleswig-Holstein insurgents. The author describes the battles and battlefields upon which this crisis was played out: from the first major action at Bov (9 April, 1848) to the last major battles of the war, at Isted (25 July 1850) and Missunde (12 September 1850), from the geomorphic landscape influencing battlefield strategy down to the description of a farmhouse where Prussian officers jumped out of windows to save themselves from the Danish. The reader is led through this war and shown the changing battlefields during this momentous period of European history. Produced in a limited-edition hardback printing of 500 copies (all individually numbered and signed by the author), this book is profusely illustrated with black and white images including battle maps, and also includes four superb colour uniform plates. Full orders of battle, for all armies, are also provided.